On July 9, 1975, Dutch-born artist Bas Jan Ader set sail from Chatham, Massachusetts, on a thirteen-foot sailboat. He was bound for Falmouth, England, on the second leg of a three-part piece titled In Search of the Miraculous. The damaged boat was found south of the western tip of Ireland nearly a year later. Ader was never seen again. Since his untimely death, Ader has achieved mythic status in the art world as a figure literally willing to die for his art. Considering the artist’s legacy and concise oeuvre beyond the romantic and tragic associations that accompany his peculiar end, Alexander Dumbadze resituates Ader’s art and life within the conceptual art world of Los Angeles in the early 1970s and offers a nuanced argument about artistic subjectivity that explains Ader’s tremendous relevance to contemporary art. Bas Jan Ader blends biography, theoretical reflection, and archival research to draw a detailed picture of the world in which Ader’s work was rooted: a vibrant international art scene populated with peers such as Ger van Elk, William Leavitt, and Allen Ruppersberg. Dumbadze looks closely at Ader’s engagement with questions of free will and his ultimate success in creating art untainted by mediation. The first in-depth study of this enigmatic conceptual artist, Bas Jan Ader is a thoughtful reflection on the necessity of the creative act and its inescapable relation to death. Bas Jan Ader's art career lasted only five years. From 1970 to 1975 he played out his notions of the weight of gravity in short films that showed him hanging from trees (Broken Fall, Organic), biking into an Amsterdam canal (Fall 2, Amsterdam) or sitting in a chair atop a roof before propelling to the ground (Fall 1, Los Angeles). "Supremely self-confident," he met his wife while in graduate school "by lifting his shirt… and he possessed one of the five most beautiful belly buttons in the world." On July 9, 1975 Ader set out from Cape Cod in a 13-foot sailboat on a solo voyage to Europe. He was never seen again. Art historian Dumbadze paints a fascinating portrait of the young artist; his childhood during World War II in Amsterdam, his youthful days at Otis Art Institute, his quest for truth through philosophy, his love of Marcel Duchamp, and his participation in the Los Angeles art scene. 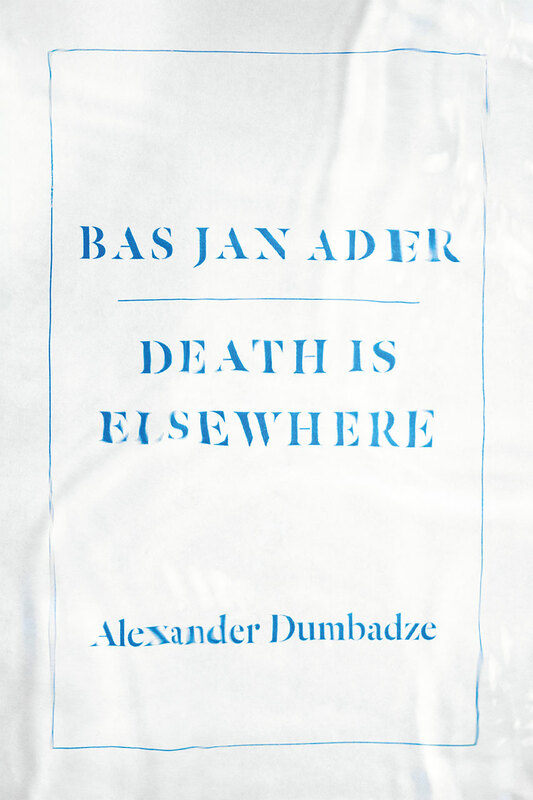 Dumbadze sometimes speculates too broadly on the meaning behind Ader's work, but through letters, artwork and interviews by Ader's contemporaries he illuminates the brief life of an man con-tent to let gravity take him where it would. "[T]he most probing, most comprehensive and nuanced discussion of Ader to date. Dumbadze, in a focused, meticulously researched study, zooms in on the years Ader spent in Los Angeles, from 1963 to 1975, when the city was still considered by many to be a cultural outlier. . . . The author tells his tale with sensitivity and insight, his considerable erudition deployed lightly, conveying complex concepts in prose that is clear, elegant and engaging... Dumbadze interprets Ader's unclassifiable, uncanny, prescient art and his all too brief life with an empathy, intelligence and objectivity that make this book rewarding to read, lingering long afterward." "A fascinating portrait of the enigmatic Dutch performance artist."